Immages below shows how the Zulus dress. This is their traditional dress and they wear this whenever they have ceremonies. Women dress more or less the same but wear more beads. They also don't wear anything to cover their breasts and due to the nature of this site I can't post pictures of it here. Zulus also play an important part in South African politics. Mangosuthu Buthelezi served a term as Minister of Home Affairs in the government of national unity which came into power in 1994, when reduction of civil conflict between ANC and IFP followers was a key national issue. Within the country, South African President Jacob Zuma and former Deputy President Phumzile Mlambo-Ngcuka of the country are Zulu, in part to bolster the ruling ANC's claim to be a pan-ethnic national party and refute IFP claims that it was primarily a Xhosa party. The language of the Zulu people is "isiZulu", a Bantu language; more specifically, part of the Nguni subgroup. Zulu is the most widely spoken language in South Africa, where it is an official language. More than half of the South African population are able to understand it, with over 9 million first-language and over 15 million second-language speakers. Many Zulu people also speak Afrikaans, English, Portuguese, Shangaan, Sesotho and others from among South Africa's 11 official languages. 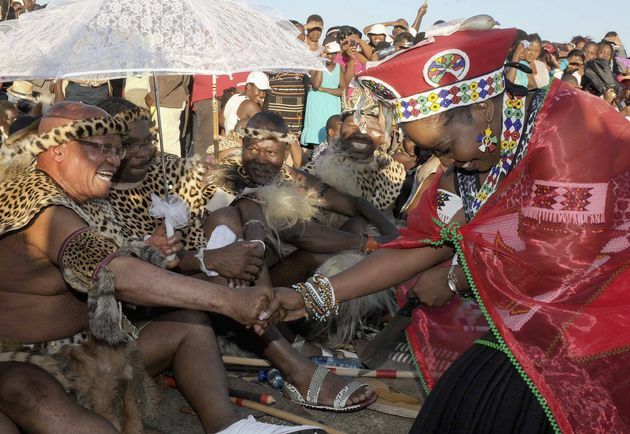 The Zulu family is patriarchal; a man is both the head of the family and the figure of authority. It is not unusual for young men to have as many girlfriends as they wish. If they can afford it, they can take more than one wife when they decide to get married. Traditionally, women were not supposed to go out and work, since they were a man's responsibility. Nowadays the status of Zulu women is slowly improving with more women receiving an education. The modern Zulu population is fairly evenly distributed in both urban and rural areas. Although KwaZulu-Natal is still their heartland, large numbers have been attracted to the relative economic prosperity of Gauteng province. Indeed, Zulu is the most widely spoken home language in the province, followed by Sotho. Zulu is also spoken in many rural and small-town areas of the Mpumalanga province, in addition to other parts of Southern Africa. 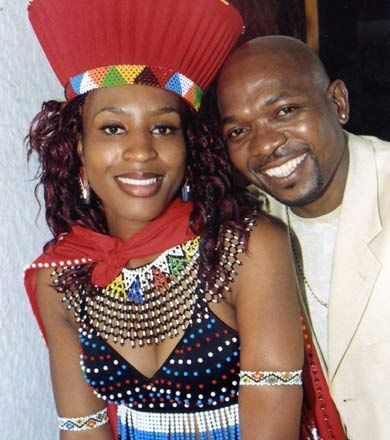 There are Zulus in Zambia known as Abangoni, Mozambique known as Xigubo, and in Zimbabwe known as Amandebele. Zulus also play an important part in South African cultural, political, academic and economic space. The African National Congress (Pixley KaIsaka Seme) and Inkatha Freedom Party (Mangosuthu Buthelezi) were both established by the Zulus. Pixley KaIsaka Seme's philosophy was to form a non-tribal political movement that would fight for the freedom of black people, whereas the Inkatha Freedom Party was initially a Zulu cultural movement but later became a political party. Zulus wear a variety of attire, both traditional for ceremonial or culturally celebratory occasions, and modern westernised clothing for everyday use. The women on the other hand dress differently depending on whether they are single, engaged, or married. An unmarried woman who is still eligible is proud of her body and is not ashamed of showing it. She only wears a short skirt made of grass or beaded cotton strings and spruces herself up with lots of beadwork. An engaged woman will let her traditionally short hair grow. She will cover her bosom with a decorative cloth which is done out of respect for her future relatives and to indicate that she has been spoken for. The married woman covers her body completely signalling to other men that she is taken. Tying the knot in any culture comes with a laundry list of traditions and rituals, including the old rhyme, "something old, something new, something borrowed and something blue." Here are some wedding traditions from around the world that go beyond the white dress and veil. Probably the most well-known people of South Africa are the Zulu. Their dress is recognizably bright and colorful, especially that of women and girls. Unmarried young women wear bead-work "izincu" bands around their waists, ankles and elbows, as well as beaded headbands and necklaces. This use of color is to display their status as single. 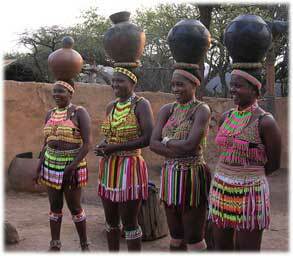 Married Zulu women wear more sedate "isicholo" hats and "ibhayi" shawls. Zulu men traditionally wear different animal-hide coverings, depending on their marital status.